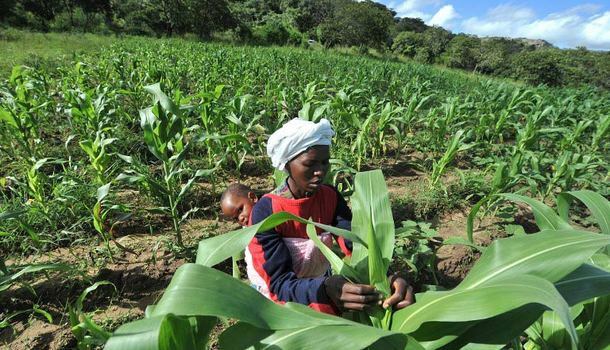 FEATURE (Zimbabwe Investor) – Zimbabwe has over the years sold itself as an agro-based economy, yet there is little infrastructural and service investment into the sector at national level to show for the importance. The economy’s manufacturing sector extracts 60% of its input from agriculture, a sector which accounted for 70% of all employment before the economic and political turmoil which began in 2000 . Such is the importance of the sector that land is such an emotive issue amongst the general populace and forms the political cornerstone of the country. The recognition that agriculture is such an important industry for the country needs to be met with matching investment efforts. Unfortunately, little attention has been paid to the development of the support infrastructure of this economic backbone. Time has come to move away from investment in inputs on a season by season basis and shift to investment into strong long term agricultural systems and institutes. This requires a general acceptance that as a nation, the country will not go far quickly without first recognizing the importance of heavy investment into the agricultural sector. The national policy framework from the government to private enterprises should be centred on agriculture as the economic spine. When the government seeks investment into road and rail, it should be informed primarily by agricultural needs. If it is investment into Information and Communication Technologies, agriculture should be at the forefront of all proposals. The banking industry should be motivated by agricultural demands in product and business development. The global economic balance is leaning towards regional specialisation. India invested heavily in IT education over a period in a radical and often criticised approach. Now the country has become the global service centre where the world’s largest corporations are outsourcing their IT and call centre operations. China, through its large labour resources, has become a world’s mass manufacturing centre. The large western companies are now concentrating their efforts on product concept design and development. China now has whole cities of millions of people dedicated to producing single products. Cities like “Toilet City” dedicated to manufacturing toilet seats and “Button & Zip City” dedicated to the manufacturing of clothing zippers and buttons have emerged as a result of the global demand. The result of that relationship between the Chinese and the global corporate world has reduced prices of goods on the world’s shop floor. Zimbabwe needs to find its place in the new world economic order to concentrate its resources and efforts on. Agriculture offers an opportunity for the country to develop an efficient agro-based industry which the world could run to for products and services. At independence in 1947 Pakistan was a predominantly agricultural country. After independence the Government of Pakistan appointed national commissions on food and education to formulate measures for developing the full potential of the country’s agricultural resources. The Commissions recommended establishing an Agricultural university which could play a more vigorous role in promoting research and education in agriculture. The Faisalabad University of Agriculture was born. The University’s faculties comprise more than 500 teachers of who 224 hold Ph.D. degrees covering Agriculture, Agricultural Economics and Rural Sociology, Agricultural Engineering and Technology, Animal Husbandry, Veterinary Science, Sciences, and a Division of Education and Extension. That Zimbabwe does not have its own university level specialist institute dedicated to agricultural excellence is incomprehensible. The new age agricultural revolution requires a radical approach that is prepared to turn even the University of Zimbabwe into an agricultural centre of excellence serving not only Zimbabwe but the region. It is a sad indictment, more than thirty years after independence, for Zimbabwe to still count drought as a devastating problem. Through investment in research and development at an agricultural centre of excellence, the country should have technologies that mitigate the effects of drought. Presently agricultural research is done within a department at the Scientific & Industrial Research & Development Centre [SIRDC] which has done a marvellous job over the years. However their efforts can not be expected to shoulder the national requirements. A well thought out education system will go a long way in establishing an efficient agricultural industry which will give Zimbabwe a competitive edge in a world. A rethink of the national curricula is required in the revolution which places agriculture at the centre of syllabi development at every level from primary school to university level. Even scholars at other non-agricultural universities should have a feel of agriculture in their studies. A student of economics should have at least a module on agricultural economics, a finance student should have in the programme a section on agricultural finance and the same should apply to all fields of study. An ICT policy framework centred on agricultural needs is required in the revolution. Such a framework will see a technology based agricultural industry which prioritises the dissemination of information with speed and accuracy. The country needs to invest at national level into agriculture based ICT systems. Such a system should allow farmers from wherever they are to be connected with not only the rest of Zimbabwe but the global market. This involves having an agricultural data collection system rolled out across the country. The system will allow farmers to feed their agricultural information into a database accessible online and globally. The country’s mobile telephony and internet providers have already invested in technologies which the agro-ICT network can ride on. The country has a well developed Agricultural Technical and Extension (AGRITEX) network which covers the entire country. AGRITEX has a competent network of officers whose job can include the collating of agricultural data and feeding it into the national system. A farmer in Mutoko should be able to go to Mutoko centre and input into a system how many hectares he has under cotton and another farmer in Odzi can do the same with her potatoes so will another in Nyamandlovu with his cattle. The data is constantly updated with new developments at the farm including effects of drought, insects or any other which may alter the originally anticipated harvest. If replicated across the entire country, an agricultural map becomes available to the market. By looking at the “food map”, central government will be able to see where food supplement may be required due to poor harvest and where surpluses are. With all the quality management systems also incorporated into the network, that information will mean, a cotton ginnery will know where the best cotton is while sat at a desk in their factory and a supermarket in Europe will know where the best potatoes are located in Zimbabwe before picking up a phone. The system will feed into the commodity broker through the Zimbabwe Stock Exchange or an independent commodity exchange to link the farmer and the market. Financial analysts will be better placed to relate the “food map” to the economic trends and therefore predict market direction with more accuracy. For years, the weatherman has been described as “an expert who predict yesterday’s weather accurately” and Zimbabwe’s Meteorological Office fits this description. There however, have been recent advances in weather technologies which allow meteorologists to predict weather patterns for longer periods into the future more accurately. The Met Office should be allowed to be a part of the agriculture information curve by giving the farmer precise weather reports. Priority investment should be made into the latest weather forecasting technology so that the department can predict with greater accuracy the weather patterns. This technology should include early warning systems that can predict and inform the country of weather patterns that will have an adverse effect on the agricultural production. For the revolution to succeed, given the current state of affairs, an honest and open debate free of political rhetoric is required. The current land reform format has been a subject of contention worldwide but what is crucial is finding a way of putting finality to the whole process. This includes addressing the issue of how land can be securitised to fund its own productivity. Without a clearly defined strategy regarding the issue of security, finance will continue to evade agriculture thereby killing the whole revolution before it is even born. Zimbabwe must awaken to the global realities at play and find a place to fit in before it is too late. The opportunity is still there and agriculture offers the easiest entry point.